Last week, Alana, our #MusicMovesMe musical conductor for the month of June, had us all thinking about television and film from our childhood. As usual, the theme turned out to be a really good one. It was really great to see and listen to the various theme songs from the shows from long ago. Also, in the most recent battle of the bands, Lee, from Tossing It Out, had us thinking about childhood games we used to play such as Cowboys and Indians or Cops and Robbers. I had my BellyButton Anniversary (AKA Birthday) on the 23rd of this month. Recently, I was suggested a topic for an upcoming battle of the bands, and that topic ties in very nicely with all of this nostalgia going around. So, apologies to Stephen as this is not going to be a battle, but rather a fun topic post. Often times when given a task that no one wanted to do, we’d play “Rock, Paper, Scissors”. The loser would be the one that had to perform the task. Scissors cut Paper, and Rock crushes Scissors. Using music, how would you play Rock, Paper, Scissors? Tell me about it in the comments below. Before you leave, I should probably tell you the results of the most recent battle of the bands here. It was supposed to be a real dog fight, but it didn’t really turn out that way. The song that was being battled was David Bowie’s “Diamond Dogs”. It became very clear right away who the winner would be - but I am also really thankful it wasn’t a dreaded shutout. And 5 people who obviously did not read the post before commenting. May karma pay them a visit. Don’t forget to visit the other bloggers in this musical bloghop! Be sure to stop back on July 1 for the next battle of the bands! What a clever way to create a theme. I love it, especially Queen. Anyway, VERY COOL 4M post today! Genius idea! Rock, Paper, Scissors. Hmm, how would I play?? [runner-up: for nostalgia sake, I ought to have picked Paper Roses by Marie Osmond. Why? Because when I was young, it's one of the songs I learned to play on the organ...) Here's a cute video of 14 yo Marie on the Bob Hope Show: go to the end and see Bob's interview with her. It's cute. I struggled to get around to everyone as well this past week. I feel as though I am missing chunks of time. I may still do a Dog v Cat battle in the future, so all is not completely lost. I like your suggestions for the game. I almost went with Paper Roses. It was a tossup between that and the group Paper Lace. Then I remembered the STP song and knew that was what I had to go with. Mark your calendar for SUNDAY. New round of battles, and I've got an interesting one up my sleeve for this one. You come up with some clever ideas for 4M, so now let me get my groove on with my suggestions for Rock, Scissors, and Paper. 2010 Jenny & Johnny "Scissor Runner" https://www.youtube.com/watch?v=8GVnVBkAdXw This one is new-to-me. Thanks for the fun this morning on the dance floor. Have a pAwesome week, my friend! Great selections! I hadn't heard your scissor selections before. Scissor songs are pretty difficult to locate, so I applaud you in finding these. Even though I enjoy Simon & Garfunkel, I can't say that I was impressed with Garfunkel's song here. I hadn't heard the Chris Brown song either. So once again, you've introduced me to new music. Have a great week, and I'll see you again on the 1st! Now that is a cool idea. I like it. But I play Rock, Paper, Scissors, Lizard, Spock. LOL. I hope that you have a wonderful Monday. I figured someone would mention the Rock, Paper, Scissors, Lizard, Spock version. Now, to just put music to it... LOL Have a great week! Scissors was a bit tougher! Found this one: Not bad! Fun post, Mary! Have a good week. You've introduced me to some new ones here. I wasn't familiar with Paper Tiger or Emery. Nice choices. Have a great week and thanks for playing! "Rock-A-Bye Your Baby (With A Dixie Melody)," "Paper Roses," and "Scissors In The Sand." Nice choices! Of course, since "The Big Bang Theory," I'm always thinking of "Rock, Paper, Scissors, Lizard, Spock." oooh! Jerry Lewis and Echo & The Bunnymen! Nicely done. I can only imagine how much more difficult to include Lizard Spock in this musical version of the game. You did a nice job with the Rock, Paper, Scissors. Much more respectable than my goofy offering. And you had a really nice turnout for the last BOTB. I'm looking forward to seeing what you do with your next one. What are you gonna pull out of your hat? A rhino, a lion, a tiger, a bear, Rocket J. Squirrel? Oh my! The decision has been made! Expect the reemergence of Tiny Tim on July 1st. Thanks for the suggestion for this post. I'm glad I didn't use it as a battle - I'm thinking there may have been rioting in the streets rivaling the Rodney King verdict otherwise. Thanks for dropping by today. Have a great week! I'm going to look at the comments after I provide my picks (this was a fun theme, by the way, and I love "Belly Button Anniversary", too). Your last two songs were new to me - I enjoyed the Stone Temple Pilots song a lot. The One Armed Scissor song - don't know, was kind of weird but had a vibe that tells me deserves a second listen one day. So, my picks: For Rock, Loves Me Like a Rock by Paul Simon. For Paper,Paper in Fire by John Mellencamp. For Scissors how about the entire "Running with Scissors" album by Weird Al Yankovic? Any time one can incorporate Weird Al into a post is a good one. I hadn't even thought of him. I discovered One Armed Scissor while playing RockBand on xbox. It's one of those songs that takes time to grow on you. 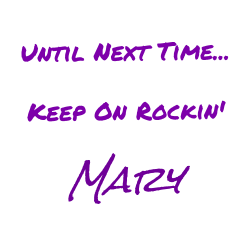 Thanks for playing along today! Have a great week! What a great idea. I can't think right off the bat but I guess "Rock Around the Clock" would be rock one. Don't think I know any scissors songs. That's a great start! And since Rock seems to beat out everything - do we really need the others? Thanks for playing along! Have a great week! I figured Duran Duran would win that round, but with BOTB you never know. I like how you call out the visitors who won't vote. I have some regulars who do the same, but they've explained their position on this--not that it makes sense or anything. It's just a fun vote, neither right nor wrong. We rarely if ever played the Rock, Paper, Scissors game when I was a kid. I'm kind of dumb in that I never really figured it out. Well, I guess I did know kind of what was going on, but it just never grabbed me. See you in the next round of Battles. Growing up, we played Rock Paper Scissors occasionally. Usually it was Eenie Meenie Miny Moe that was played. But more likely than not, because I was the youngest and had 4 older brothers the scenario was - YOU will do this. Mary, I always love your creativity! 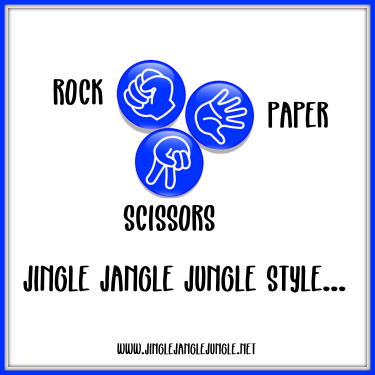 Awesome song choices for your Rock, Paper, Scissors theme! Absolutely on point! :) Hope you're having a great weekend! Thanks for the dance! Having a fairly productive weekend. Ready to have another great week. Thanks for stopping in. I think I have the winning answer! As a milenial I know of Chris Brown’s song “Papper, Scissors, Rock”. Quick mic drop! Fun post that allows you to be a part of something.